Unless you have been living under a rock for the past month, you’re probably aware we are amidst the longest government shutdown in U.S. history. Currently there are 800,000 federal workers that are either furloughed or working without pay. Government operations ranging from airport security, national parks, museums, and the IRS are all affected by the government shutdown. 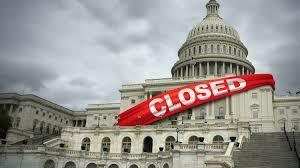 Let’s take a look at 5 ways the government shutdown is impacting mortgage lending. Conventional loans which are purchased and securitized by Fannie Mae and Freddie Mac, will be relatively unaffected by the shutdown. This is because they are not financially backed by the federal government. If you are a government employee currently furloughed by the government, Fannie Mae is now requiring borrowers have a minimum of 2 months financial reserves after closing. Federal Housing Administration (FHA) loans allow for a down payment as little as 3.5%. FHA loans are still being funded however there may be some delays in settlement because they are short-staffed. Veteran Administration Loans (VA) are overseen by the Department of Veteran Affairs. As it stands right now, there will be little delays with VA Loans. The Department of Veteran Affairs is fully funded through the fiscal year 2019 and is operating business as usual. The biggest disruption due to the government shutdown is USDA loans. A USDA loan is an excellent loan program that doesn’t require a down payment and gets you into your home with the lowest interest rate and least money out of pocket. The U.S. Department of Agriculture is closed and therefore not issuing guarantees (loan approvals). This is huge especially for buyers in Queen Anne’s County and the rest of the Eastern Shore where USDA loans are often used to finance purchases. If you are a buyer who is pre-approved with a USDA loan or a listing agent with USDA offer, you must be cognizant of this change. You may want to have settlement/rate extensions in place in case the shutdown continues. Even with settlement extensions in place, no one knows for sure when the government will open back up. When they do open, they are going to be backlogged and it could take the department a while to catch back up. The best thing you can do is to have a plan B. Instead of a USDA loan you may want to look at other financing options available to you like a FHA or conventional loan. IRS Transcripts are what mortgage lenders use to verify your tax returns and W-2’s to ensure there is no fraud or changes to your finances. Most investors require that IRS transcripts to get loan approval. IRS is operating although they are experiencing minor delays due to the backlog of requests. Hopefully the government shutdown will be resolved in the coming week. With no signs of either side reaching a compromise, it looks as though it is going to continue for longer. To recap, conventional, FHA, and VA loans are experiencing minor delays because of the shutdown. USDA loans are impacted the most by the shutdown. If you have any questions regarding the government shutdown or other mortgage related questions, please contact me today!